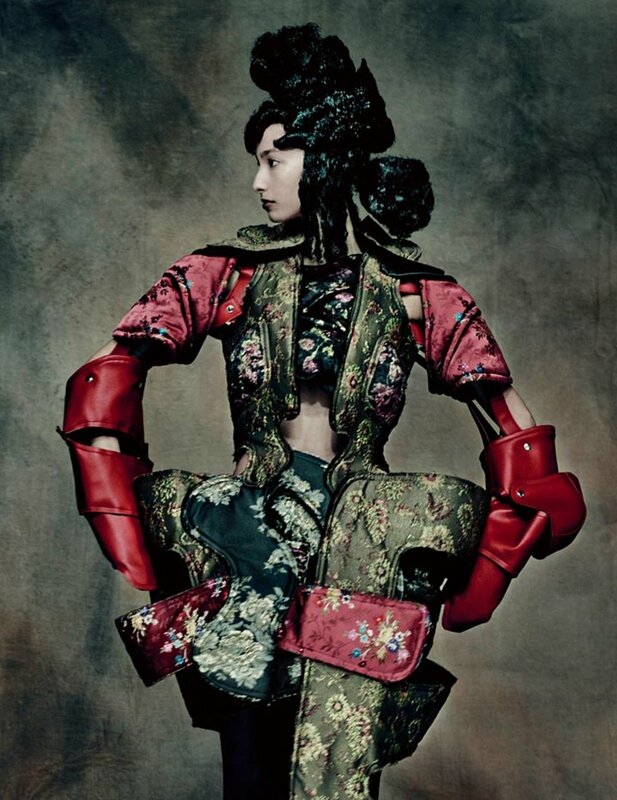 Her name may not roll off the tongue like Christian Dior or Yves Stain Laurent, but Rei Kawakubo has been one of the most important designers of the late 20th century, challenging conventional notions of fashion by subverting familiar forms. Her out-of-the-box creations are rarely seen on the red carpet but this will change with the Met Gala Ball (May 1), as the Japanese designer’s creations are the focus of the Costume Institute's Spring 2017 exhibition, “Rei Kawakubo/Comme des Garçons: Art of the In-Between,” opening May 4. · Rei Kawakubo first launched Comme des Garçons as a sportswear brand in 1969 in Tokyo. The name is inspired by a famous French song from the period by Francoise Hardy. · By 1980, Comme des Garçons had a turnover of $30 million in Japan but was still virtually unknown internationally. That changed when Kawakubo presented her collections in Paris. Her third collection there in 1983, titled “Destroy,” made a shocking (for the time) visual statement with deconstructed and oversized black garments –sweater cuffs at the ankles of leggings and oversized knitwear with holes (created by loosening screws in the knitting machinery). Today the business generates revenues of over $280 million a year, and include the multi-brand retail business Dover Street Market. · Her work rarely shows the body, instead she creates “sculptures” that distort the human shape to address notions of beauty. Her now iconic 1997 Body Meets Dress, Dress Meets Body collection (also referred to as lumps and bumps) had dresses augmented with pads in what would otherwise be considered all the wrong places as if a serpent were underneath the clothes working its way around the body. · The design philosophy embraces the concepts of mu (emptiness) and wabi-sabi (an appreciation of imperfection). · “My intention is not to make clothes,” she said in a 2012 interview and she reiterated the point after her spring 2014 show titled “Not Making Clothing.” Since then her works have been increasingly toeing the line of wearable and not-so-wearable objects. · Her fall/winter 2017 collection was called “the future of silhouette” and instead of textiles, the pieces were made with industrial materials. · This is only the second time the Met has organized an exhibition solely dedicated to a living designer. The previous one was for Yves Saint Laurent in the 1983. · The “Art of In-Between” exhibition, which includes 150 pieces, is not presented as a retrospective, but is instead curated in sets of polarities: Fashion/Anti-Fashion; Design/Not Design; Then/Now; High/Low; Self/Other; Object/Subject; Clothes/Not Clothes.